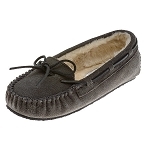 Minnetonka 40885 - Charcoal suede pile lined slipper with fully padded foam insole and flexible EVA indoor/outdoor sole. 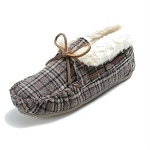 Comfy pile lining wraps completely around your foot so you feel nothing but soft, warm fuzziness against your skin. 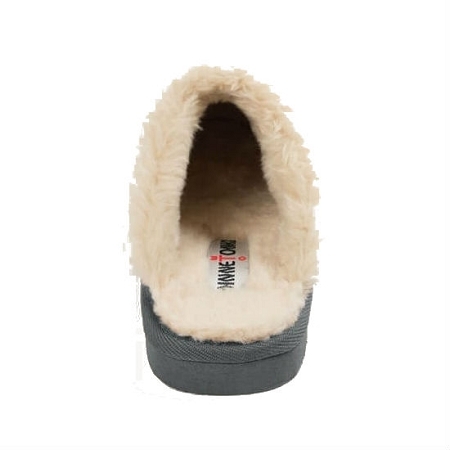 This is a great mule style slipper for around the house. Recommended to order 1 size larger than normal shoe size due to the pile lining. Lounge around in these comfy backless slippers. Pile lining wraps your feet in comfort and warmth. The high-quality suede outside is supple and distinctive suede stitching stands out on the toes. 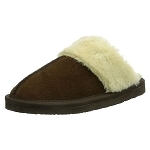 These slippers have thick and flexible soles, so wear them inside or out. 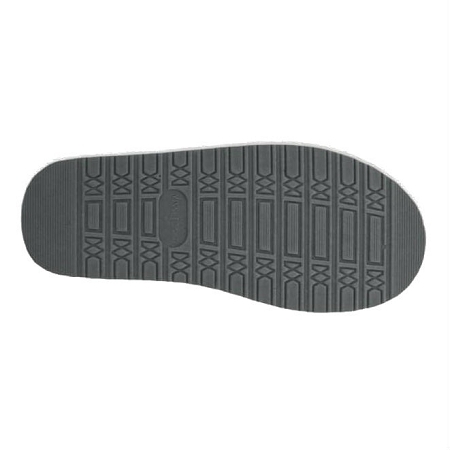 They’re easy to slip on and off when you’re ready to grab coffee with friends or walk the dog. 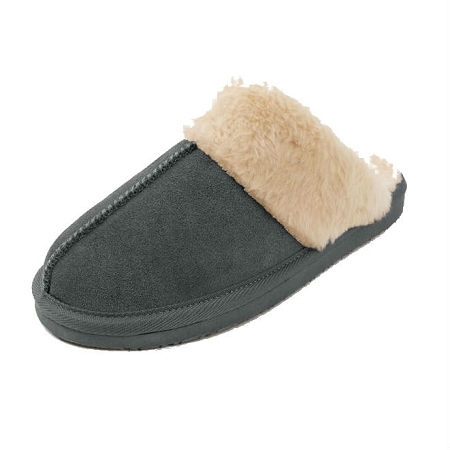 Minnetonka 40885 - Charcoal pile lined slipper with fully padded foam insole and flexible EVA indoor/outdoor sole. 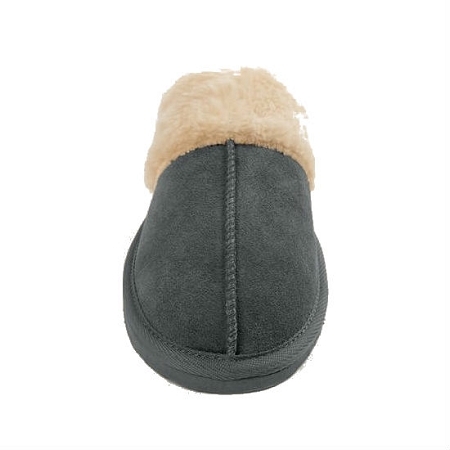 Comfy pile lining wraps completely around your foot so you feel nothing but soft, warm fuzziness against your skin. 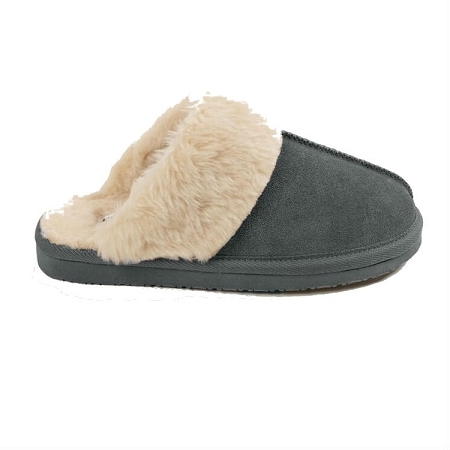 This is a great mule style slipper for around the house. 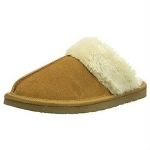 Recommended to order 1 size larger than normal shoe size due to the pile lining.